Ma Crypte / My Vault est une fonctionnalité qui vous permet de stocker des morceaux d'une partie. Actuellement, il ne supporte que le stockage de personnages, but de nouvelles fonctionnalités sont prévues pour d'autres types de contenu (tel que des pages/cartes, des documents, des jeux de cartes/decks, etc.) Dès qu'un élément est stocké dans la Cave, il peut ensuite être exporté vers d'autres parties auxquelles vous participez. This feature is currently only available to Pro and Plus subscribers. Consider upgrading today if you want to make use of this advanced feature. The Character Vault allows you to store your own Characters so that you can use them in multiple games without the need to re-create them from scratch each time. For example, in society-style play you have a single Character that you play many different game sessions with, across different GMs, etc. 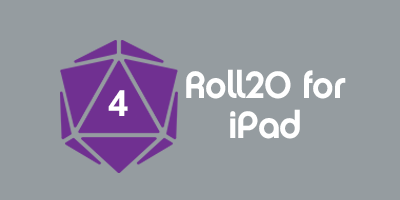 Previously on Roll20 you would need to keep track of that Character yourself and then re-create it in each new game. However with the Vault feature, you can import the Character out of a game and into your Vault, and then re-export it out of your Vault and into a new game. Rinse and repeat, and now you've got a Character that travels with you between games. The Vault is also useful for GMs to store pre-generated PCs that they may want to use in multiple Campaigns, a stable of interesting NPCs, etc. You can import a character to your Vault from any Campaign you are a player or GM in. However, if you are a player in the game you must have permission to edit the Character to be able to import it to your Vault. Importing Characters is easy -- just click the "Import Character" button on the main Vault page. You'll see a list of Campaigns to choose from. After you choose a Campaign, you'll see a list of Characters that you have permission to edit. Just choose the Character you want to import and press the "Import Character" button. The process may take a few seconds to complete. Note that once the Character is in your Vault, it is stored as a "snapshot", meaning that it will no longer update or receive changes from the Campaign it came from. If you want to import an "updated" version of a Character, just delete the existing Character from your vault, and re-import it from the Campaign. 2. You are a player of the Campaign and the GM has expressly turned on the "Allow Players to Import Characters" setting on the Campaign Settings page for that Campaign. If a Campaign you want to export a Character to isn't showing up in the list, be sure that one of those criteria are met, and then reload the page. Once the Character is exported to the Campaign, it will be up to the GM of that game to set it up (giving you permission to edit it) properly. This page was last modified on 27 July 2015, at 04:55. This page has been accessed 4,908 times.